Our lives are continuously barraged at times by stress from work, family matters, cost of living, illness, world events, along with the upkeep of a household and yard. When the death of a family member is tossed into the mix, it can trump everything else for a while. You may think that gardening at this time is more of a chore than a pleasure, but it can be your best cure for grief and stress which is often accompanied by, or the cause of some, depression. My father became ill this past spring, and there were endless trips to my hometown to help out, as well as hospital visits; health, financial, and legal concerns, and then later the funeral and estate matters. There will be issues to contend with for a while, but the major stress is over. I do not think I could have kept what is left of my sanity if it weren't for my trellis of green beans, the only thing I managed to plant before tragedy struck. Those green beans grew to ridiculous proportions despite neglect. Sporadically tending them gave me time by myself to think and work out frustrations, mild exercise, sunshine, fresh air, and self-satisfaction. I could not have done much more than I did. My typical garden plantings would have wasted away and left me feeling more overwhelmed, grieved, and depressed. I started walking two miles once a day with a neighbor throughout our rural area, as the weather permitted. That gave me more exercise, fresh air, sunshine, and helped me sleep better. 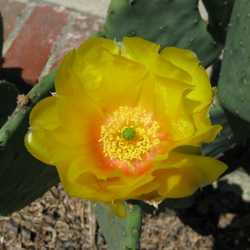 Although the intent of walking was to become healthier physically, and the gardening was primarily for food and pleasure, I did not realize how emotionally important they were until later. I think of Vitamin 'G' as Grounding (touching the Earth), Geology, Gravity, Gardening, or Green Spaces. Science has proved that contact with Aristotle's four classic elements do help relieve or eliminate both mental and physical diseases. A bath, drinking plenty of water, and various forms of hydrotherapy, are all considered helpful, and possibly necessary, in relieving physical pain, stress, and depression. We all know that soaking in a warm tub can relax muscle tightness, thereby relieving some of our stress. 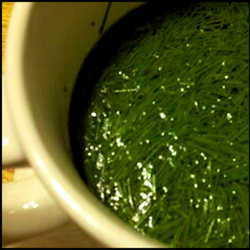 It also hydrates and washes away toxins from our skin (excreted from our bodies). Drinking water also hydrates and flushes toxins from inside our bodies. Hydrotherapy is a timeless naturopathic method of healing a long list of ailments, including depression, with water in its many forms: liquid (cold or warm), steam, and ice. Health-related Internet sites are full of information about the benefits of water to the body. EXERCISE: It is a well-known fact that physical activity helps lower stress. It makes sense that if exercise is done outdoors, the elements can work to repair and regenerate our bodies all at once. 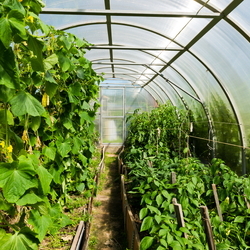 Doctors in the UK and many other countries prescribe farm-type work as a cure for mental illnesses and recuperation from physical ailments. Gardening combines all the classic elements plus exercise to help us stay mentally and physically healthy, most especially in times of stress with depressing circumstances. It gives us time to be alone with our thoughts if needed, to find perspective, to grieve our way, and the self-satisfaction needed by some to feel whole. Please do consider gardening through grief! This article is based on my personal experience and research and not meant to be medical advice for everyone. We each grieve in our own way and some of us have preexisting conditions that need special considerations during stressful times. I deliberately chose not to delve into the vast religious, spiritual, and philosophical support systems that many of us depend on in times of stress. Instead, I chose to bring attention to the simple, and often overlooked natural methods that may help you or someone you care about deal with the tragedies of life and of death. All photographs and diagrams remain property of the author. 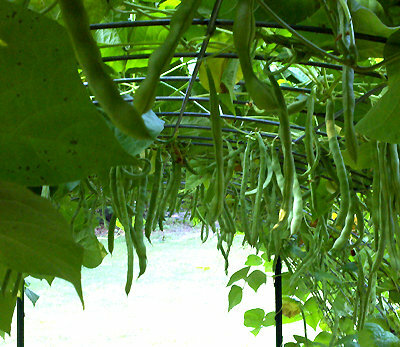 Click on green bean trellis photo (above) for the larger image. Click here to view a larger image of the article's thumbnail photo. Jim Vaughn. Vitamin 'G'. New Geography. May 18, 2010. Catherine Paddock. Soil Bacteria Work In Similar way to Antidepressants. Medical News Today. Apr 2, 2007. Deborah Kotz. Time in the Sun: How Much is Needed for Vitamin D?. 2011 US News & World Report LP. Jun 23, 2008. Mike Adams. Vitamin D myths, facts, and statistics. Natural News. Jan 1, 2005. Get Some Fresh Air! New Link Between Smoggy Air & Depression. Daily Health & Fitness Blog. Jul 7, 2011. Mayo Clinic staff. Depression and anxiety: Exercise eases symptoms. Mayo Clinic. Oct 1, 2011. Kiera Aaron. The Drug-Free Depression Cure. Men's Health News. Aug 30, 2011. Doctors prescribe 'fresh air and farm work' for patients with depression. The Daily Mail Reporter: Health. Sept 10, 2010.